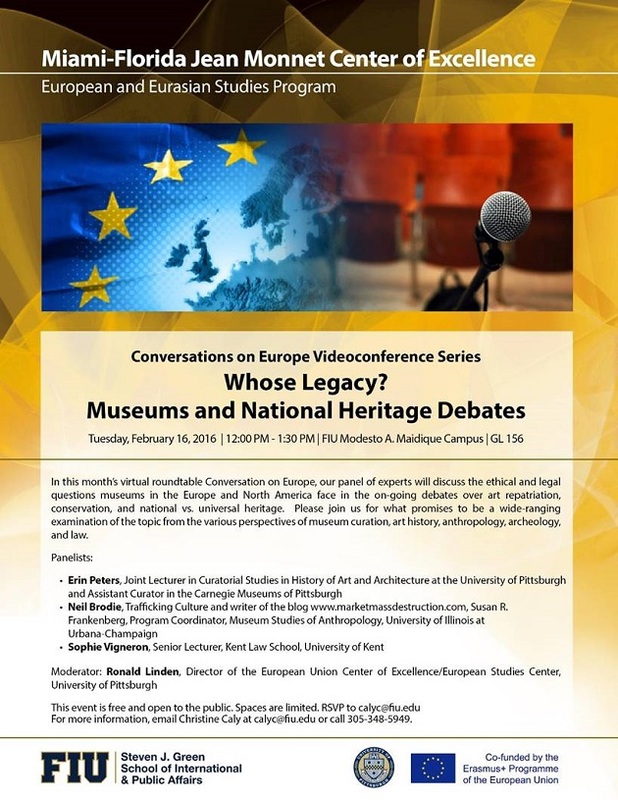 Conversations on Europe: "Whose Legacy? Museums and National Heritage Debates"
In this month’s virtual roundtable Conversation on Europe, our panel of experts will discuss the ethical and legal questions museums in the Europe and North America face in the on-going debates over art repatriation, conservation, and national vs. universal heritage. Please join us for what promises to be a wide-ranging examination of the topic from the various perspectives of museum curation, art history, anthropology, archeology, and law.